Tanzanite crystals are a deep blue and purple zoisite mineral that have a quite high vibration and are known as stones of transformation. They are high crystal energy stones, and are known as one of the most valuable aids for metaphysical healing and are known as powerful violet flame healing crystals. 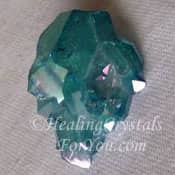 These crystals are also popular because they are quite beautiful stones to wear and because they are strong stones to assist you to develop psychic power. 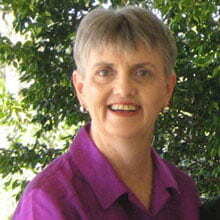 This aspect may help you if you are considering entering psychic employment. 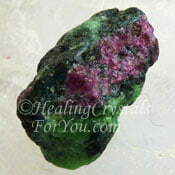 This is a stone that is powerful to use to accelerate spiritual growth, as it brings your mind into direct participation with the energy of the heart chakra. The meaning of the name of the gemstone Tanzanite, relates to the location of the only place in the world in which it is found, in Tanzania Africa. 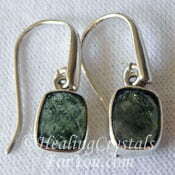 They are a member of the zoisite family of crystals and are also a type of epidote. These crystals come in a number of colors, including blue, purplish blue, colorless, yellow brown or grayish blue. 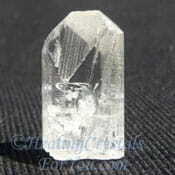 They form as beautiful transparent prismatic stones, and although they are said to be rare it is relatively easy to obtain them at good crystal suppliers. Heat treating of the yellow toned stones, both naturally within the earth and man made, causes the stone to change color, to create these delightful purplish blue stones. These lovely violet blue stones primarily activate the heart chakra, which links with the third eye chakra via the throat chakra. This linkage of the three chakras is a powerful vibration that will open you up to a totally new way of looking at the world. 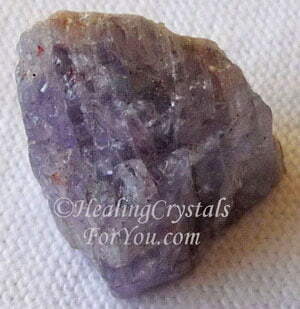 Tanzanite crystals will create a link within you to the higher heart or thymus chakra. This is known to stimulate within many people an amazing feeling of Divine love. As the throat chakra is also a participant in the process, this will open up your communication abilities. As this new type of vibration comes through, the ﻿throat chakra you will begin to aid you to communicate from a heart based perspective. 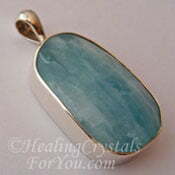 These natural stones have a high vibration, with powerful metaphysical properties. 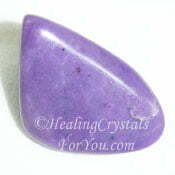 When you use this violet stone in meditation, you may be able to utilize the violet flame for healing. As you hold a piece of Tanzanite in your hand, you may feel the beautiful violet ray of light moving down from the higher etheric transpersonal chakras into the crown chakra. 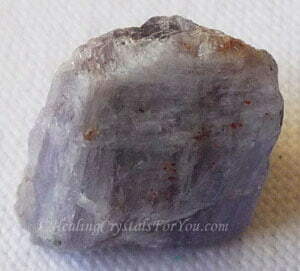 Exquisite Crystals, my most trusted source for buying crystals has beautiful Tanzanite. The power of the violet flame is known to enable healing within all of the higher chakras of the body. From there this beautiful violet energy moves down and into the heart chakra linking up all of the chakras. This wonderful and powerful energy is bringing through the power of the Divine Mind and the process of spiritual enlightenment. 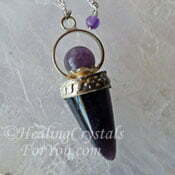 These spiritual attributes make this purple crystal a powerful asset to use for spiritual growth. 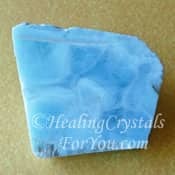 Once you begin to use this lovely blue stone, abilities such as clairaudience also known as psychic hearing, clairvoyance and other psychic gifts may be both awakened and accelerated. 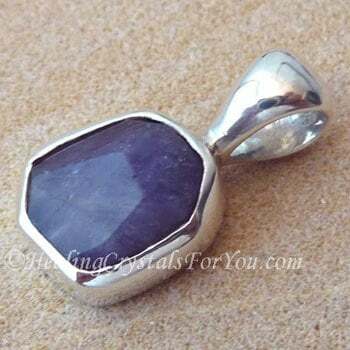 You can buy these crystals fairly easily, either as jewelry or as single crystals. By tucking a piece of the stone in your pocket and by placing one under your pillow at night, this will achieve the maximum results. 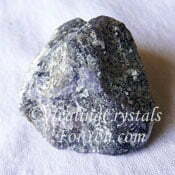 This is a strong stone to help you with contacting your spirit guide and may stimulate your psychic communication gifts. Other gifts may be precipitated including various kinds of brain based abilities based around language or mathematics. Developing your intuition is also very likely to be one of the gifts that may be stimulated. 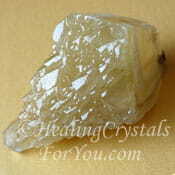 Many healers make use of this crystal as one of the stones on a multi crystal wand. This is one way to use this crystal, and it is easy to obtain a piece of this stone, then use it with other high vibration stones on a kyanite wand. If you choose this option, after using it for meditation keep it on your body throughout the day. It is also beneficial to keep it close by while you are sleeping. Even if this is not your birthstone, you may like to wear a beautiful jewelry piece made from Tanzanite gemstones, such as rings and attractive deep lavender pendants made from this stone. This lovely crystal is on the birthstone list by month, as it is a December birthstone, and this makes it available in a variety of styles. Tanzanite jewelry is easy to buy, and these lovely blue and purple-blue stones are prized, as many are gemstone quality. 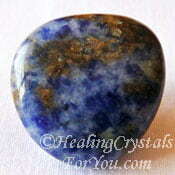 Whatever style of stone you choose to buy, just keep this lovely purple-blue stone within your energy field. 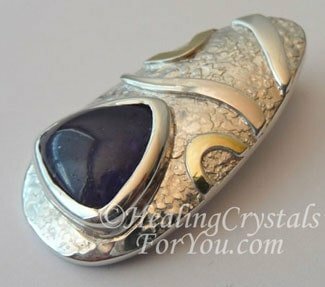 Tanzanite Crystals have a strong energy, which makes them one of the premier stones to use for the development of your spirituality as well as your health. They have the potential to stimulate development of a wide variety of gifts in many fields. 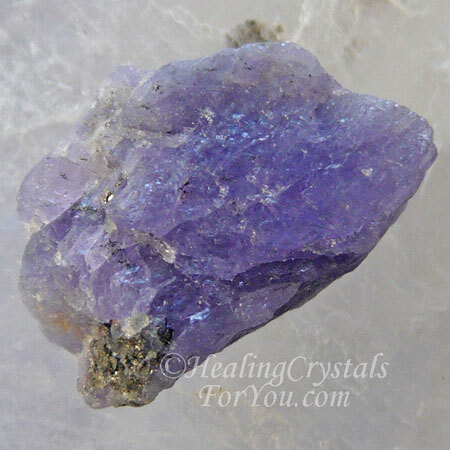 All of the violet flame crystals may be used when you are working on healing the soul star chakra, the third eye chakra, the crown chakra and the etheric chakras right up to the fourteenth chakra. 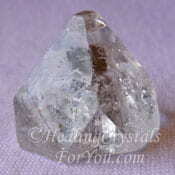 This powerful energy will open the third eye, and will support your spiritual awakening. 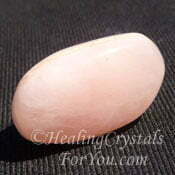 This is one of the group of strong crystal energy stones, and may be used with others of this group. This stone is a powerful tool of transformation and will aid you to heal karmic related problems that you may or may not be aware of. 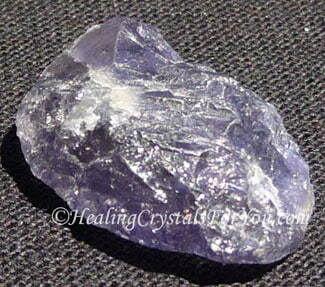 Tanzanite are such a powerful stones that you should always keep grounding stones on you while working with them. 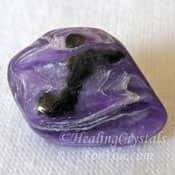 Use this stone along with other violet flames stones, such as purple Amethyst Crystals, purple Purpurite, violet or purple Sugilite and Amethyst Cacoxenite. 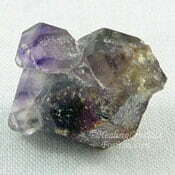 All of these along with Tanzanite are stones of the violet flame, and are powerful to use for healing, as they are the violet flame embodied. Some people find they have the propensity to make them quite spacey and light headed. 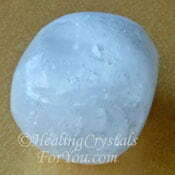 Making sure you are grounded is important whenever you use high crystal energy stones like this. 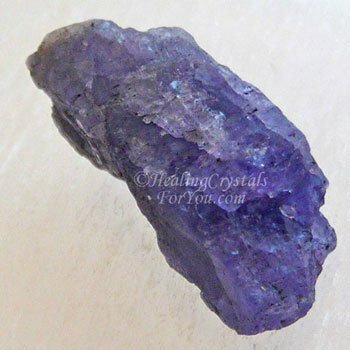 This lovely purple blue crystal may stimulate development within the soul star chakra, which is the first of the transpersonal chakras. If you desire to experience major transformation in your life, you have to begin at some point. Using this lovely crystal may be where it all begins. If you continue to meditate regularly with Tanzanite crystals, your meditations may be beyond expression in depth and profoundness. As you may make contact with angels, ascended Masters and your own spirit guide, using this stone has the potential to awaken dormant psychic abilities. 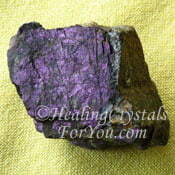 Sugilite and Tanzanite Crystals are also excellent stones to use together when healing. Their energy may additionally boost your clairvoyant abilities, also known as psychic visions. Both of these crystals are crown chakra stones, and they may also help to develop your intuition. Combining them will also bring through other gifts, including enhanced psychic communication abilities. Wearing natural crystals in jewelry consisting of these violet stones may assist you to create a stronger healing effect. 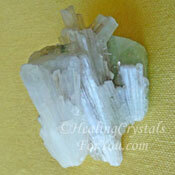 These crystals will aid you to strengthen and bring through additional spiritual understanding. If you want to elevate any of your psychic talents this is a powerful combination to use. Development of these abilities are all related to the third eye chakra. 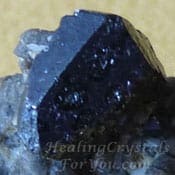 Once you choose to use these powerful crystals, you may become aware that your spiritual growth has moved to a new level. Enjoy it, live with it and go forward with it. "Nothing in life is to be feared. It is only to be understood." Marie Curie. Combine this lovely purple-blue stone with other throat chakra stones including Anyolite aka Ruby in Zoisite, Tanzan Aura Quartz, Purple Charoite, Aquamarine, Sodalite, Aqua Aura Quartz and Larimar. 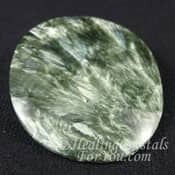 For past life healing you may like to use it with the lovely green Seraphinite crystals, Iolite crystals and Danburite, to release old patterns of karmic disease. Other stones that combine well with these crystals are the high vibration stones such as Herkimer Diamonds, Stellar Beam Calcite, Tibetan Tektite, Herderite, Natrolite, Satyaloka Quartz, Phenacite, Brookite, Clear Apophyllite, Amethyst Cacoxenite, Pink Petalite or Danburite. 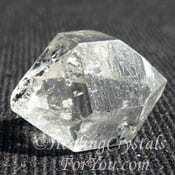 To boost its action to aid transformation, use it combined with Moldavite, Cerussite, Selenite or Scolecite. Use it with the other "violet flame" stones, including violet flame crystals, Pink Lazurine, Purpurite, Sugilite and Amethyst Crystals to create a stronger healing outcome.